Dale Carnegie, author of the long-time best selling How to Win Friends and Influence People, was often described as “…a great conversationalist.” Carnegie was quick to point out, however, that it was his mastery of one simple skill that earned him this accolade. ” I had been merely a good listener…” he noted. Are you a good listener? 1. E- Engage: Make the other person your total focus. Dedicate you body, mind and spirit to really hearing and understanding what’s being said to you. 2. 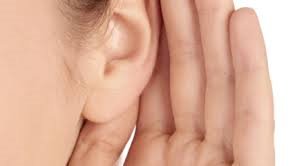 A- Affirm: Show that you’re really listening by using your eyes, expressions, gestures and comments to encourage the speaker to tell you more. 3. R- Reflect: Bounce the speakers thoughts back to him or her. Even repeating the exact words spoken to you can be helpful in demonstrating that you are listening well. 4. S- Summarize: At the close of the conversation, demonstrate that you’ve listened well by giving a brief summary of what the speaker has said. If dates, times, or tasks were presented, affirm that you have them right and that you’ll follow through on whatever you’ve committed to do. Soon everyone will want to engage you in conversation.